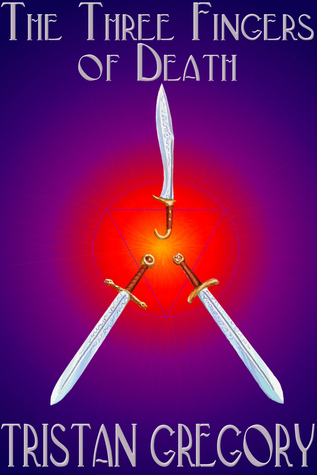 The Three Fingers of Death by Tristan Gregory is a short fantasy tale set in the same world as The Swordsman of Carn Nebeth, which I previously reviewed here. Jon the smith, briefly seen in the earlier story, seeks out a master to teach him parts of his craft that have been largely forgotten, shunned because of the involvement of magic. I read this story very quickly – all in one day. The prose is accessible and the tone is gentle, making this story very easy to consume. It has quite a storyteller-like voice. Where in Carn Nebeth, the voice was quite immediate, this is more of a “sit down by the fire and listen to my tale” sort of voice, and because of the time scale involved – the story takes place across years – this voice fits well. The story grows gradually. With some stories it really feels like there’s an end goal the protagonist is aiming for, giving such stories a strong sense of direction. The Three Fingers of Death does not have that direction. Jon’s initial goal is quickly achieved, and the bulk of the story doesn’t seem to be building towards anything but rather on what’s gone before. This has the advantage of making it quite human and believable, and matches the “fireside” tone nicely, but also deprives the bulk of the story of tension. This, combined with how the story ends, leaves it feeling a little like a prologue or backstory, not the main event. It ends abruptly with the implication that the real story, full of excitement and magical swords and outlaws, is yet to come. As for characterisation, I don’t feel that the protagonist was as strongly defined in this story as the protagonist of The Swordsman of Carn Nebeth. This might be because of the “fireside” tone of the story, or perhaps Jon is just a more introverted character. Having said that, Jon’s character growth is good as he builts up his understanding of his craft and his responsibilities. The side characters were weak. While I got a good general feel for Arodan the ironmaster, other characters felt almost ancilliary. Jon’s wife – never named – seems to have no character traits than that she’s a wife. There is some depth to the three clansmen who appear in the second half of the story, but given their role I think they deserved a lot more depth – their personalities become an important part of the plot but I feel the narrative only scratched the surface. There were some scenes which really stood out for me as being quite strong. The scenes in which Jon makes the three swords depicted on the cover do have the depth that others lack. The swords, and the magical “red steel” used to make them, have character. They almost are characters in their own right, and here Gregory’s skill really comes through. I really liked the practical application of magic in this story. It’s inventive, fresh and relevant, and it really makes it feel like this is a fantasy world which works and makes sense – which, if I’m honest, isn’t a lot of fantasy worlds, if you think beyond the story. I enjoyed reading The Three Fingers of Death. It was short, easily consumable, with a gentle, open tone and a likeable, human approach. But secondary characterisation was weak and the story felt like a prologue. I rate it 6/10 – solidly three stars. A good read for a train journey, and I can say that from personal experience.